as fast as you are ready. With the tools you need to get started and running quickly, STiLETTO will be set up for your agency. Includes basic reporting, custom forms, and the base communication package, and 3 event photo uploads per event. STiLETTO will scale with you and your business. 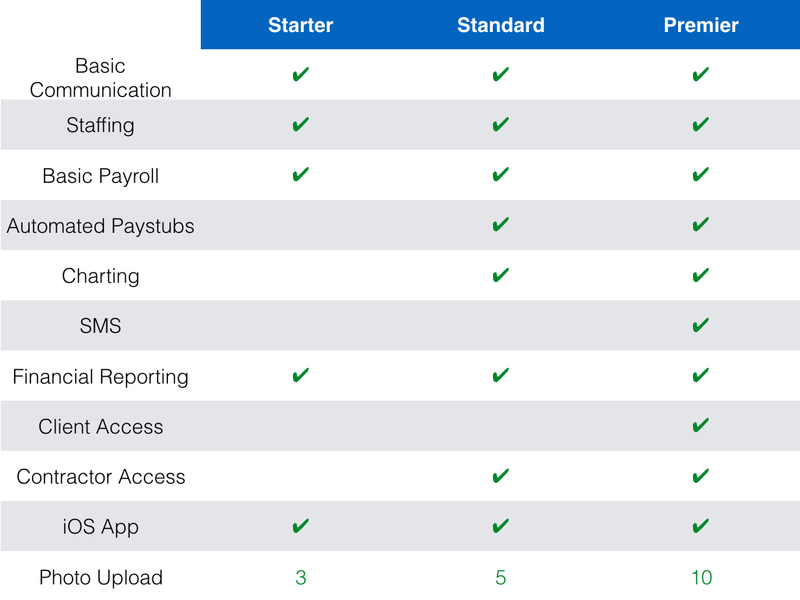 STANDARD includes all of the modules in the STARTER package, with a more robust reporting, charting and summary module, including 5 photo uploads per event. You'll get everything that STiLETTO has to offer, with SMS text functionality, advanced payroll and staff management, dashboard charts, and a host of other user-configurable items, including 10 photo uploads per event.